Research in Motion has entered into an agreement with Microsoft that will allow them to use the software maker’s Extended File Allocation Table (exFAT) file system on select BlackBerry devices. RIM joins a number of other electronics manufacturers that have signed similar IP licensing agreements including Panasonic, Sanyo and Sony, just to name a few. exFAT allows for audio and video files up to five times larger than was capable on previous FAT technology. The file system also increases the speed at which those files can be accessed in addition to enabling seamless data portability and transfers between computers and electronic devices. A patent licensing agreement such as this normally wouldn’t be worth reporting but as The Verge points out, Microsoft is clearly looking to make a point here. The company is in the middle of a legal dispute with Motorola in Germany over the use of Microsoft’s legacy file system FAT. 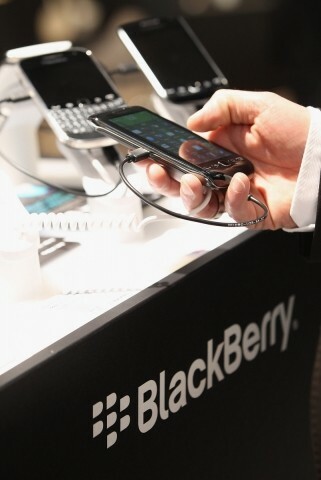 The agreement with RIM no doubt wants to show Google, Motorola and others that it’s simply easier to license patents rather than ending up in a courtroom battling it out. One would have to assume that RIM is looking to add exFAT support in BlackBerry 10, the company’s next generation OS that should be released sometime early next year. Terms of the agreement were not made public.